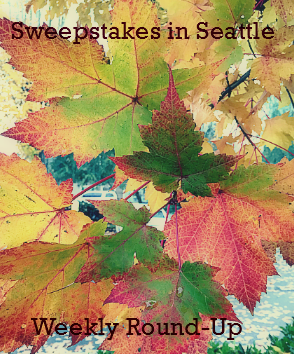 Sweepstakes in Seattle Weekly Round-Up 9/9 – Win a trip to Nashville, $25,000, gift cards & more! It’s almost fall, the weather is getting cooler, the kids are back in school and the leaves on the trees are just beginning to start changing colors. I hope you’re enjoying the start of the changing season. There are already starting to be a few Christmas sweepstakes popping up here and there (my favorite sweepstakes are Christmas ones). So grab a Chai Latte or a mug of coffee if you must and get caught up on all the sweepstakes. Let me know if you won a prize recently and I’ll share it on the next weekly round-up! Danielle won a pair of socks from the Gymboree IWG (expired)! 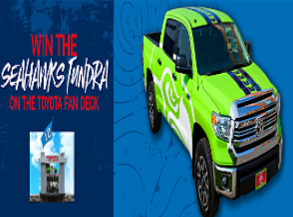 Seattle Seahawks 2018 Toyota Tundra Giveaway – Win a 2018 Toyota Crew Cab Seahawks Tundra! Six lucky contestants will be chosen to attend the December 2nd game vs. San Francisco on the Toyota Fan Deck and one of them will be walking away with a brand new 2018 Toyota Crew Cab Seahawks Tundra! ENTER SWEEPSTAKES HERE – Seattle Seahawks Sweepstakes page. ELIGIBILITY – The Giveaway is open to legal Washington State residents who are eighteen (18) years of age or older with a valid driver’s license and motor vehicle insurance. SWEEPSTAKES ENTRY PERIOD – The Giveaway starts at 12:00:00 AM on August 9, 2018 and closes at 11:59:59 PM on November 19, 2018. WINNER’S LIST – For the names of the winner(s) of the Prize(s), send a self-addressed, first-class stamped envelope to: Toyota Tundra Giveaway, c/o Seattle Seahawks, 12 Seahawks Way, Renton, WA 98056. Requests must be received by December 3, 2019. 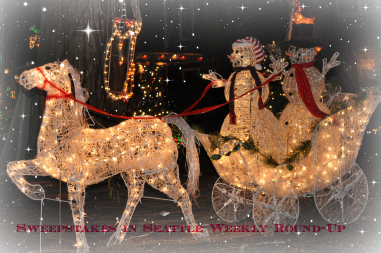 Sweepstakes in Seattle Weekly Round-Up 8/12 – Win a trip to Atlanta, a house in NY, money, gift cards & more! Welcome to the weekly round-up! I’m back to the normal day even if I’m still fighting what’s left of my cold. Lots of vacation prizes in this week’s round-up – Hawaii, Walt Disney World and a cruise are some of the vacation prizes. They all sound fabulous to me! Let me know if you won a prize recently and I’ll share it on the next weekly round-up! Colin won a $10 Amazon gift code from the Coca-Cola/ DFW IWG and a 20% off coupon from the Gymboree IWG! DeAnn won a $10 gift code from the Gymboree IWG! Alita won a pair of shoes from the Gymboree IWG! Danielle won a $10 Amazon code from the Coca-cola/DFW IWG! 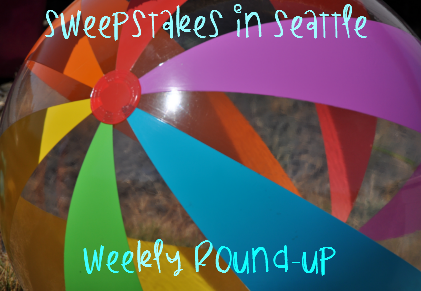 Sweepstakes in Seattle Weekly Round-Up 8/5 – Win a trip to Hawaii, $3,000 Carnival Cruise gift card, money, gift cards & more! Colin won a $10 gift code from the Gymboree IWG! DeAnn won a special edition Sharpie from the Sharpie IWG and a 20% off coupon from the Gymboree IWG! 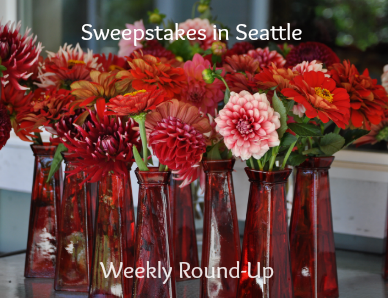 Sweepstakes in Seattle Weekly Round-Up 7/30 – Win a Toyota Rav-4, $2,000, gift cards & more! Well, it’s Monday – not my normal day for the weekly round-up, but since life isn’t quite normal at my house, I guess it makes sense. I am experiencing another July sickness – I think it started with allergies and went south fast. I actually had to go in to urgent care and get an antibiotic. I’m just now starting to cough a little less and feel a bit more like myself. So, if you’ve been wondering why the sweepstakes sharing had slowed down a little, now you know. I even heard we had a winner or two this week! Let me know if you won a prize recently and I’ll share it on the next weekly round-up! Danielle won a FREE Coke from the Coke/DFW IWG and a special edition Sharpie from the Sharpie IWG!